Alice, is our little vintage bike - the perfect a-compliment to any country style or vintage/rustic wedding. Hire Alice and she can welcome your guests to your wedding reception. Included: The bike itself and hand painted welcome sign with crate on the back filled with vintage books and basket to the front filled with artificial flowers (image 2). Floral displays can be added for an additional cost or if preferred supplied by your florist - just let us know! We also think Alice would be a lovely way to hold all your Order of Services - the crate on the back can be changed to any size! There are lots of ways she can be decorated just get in touch. The snuggle up blankets are a separate hire item but we think they look super cute together. 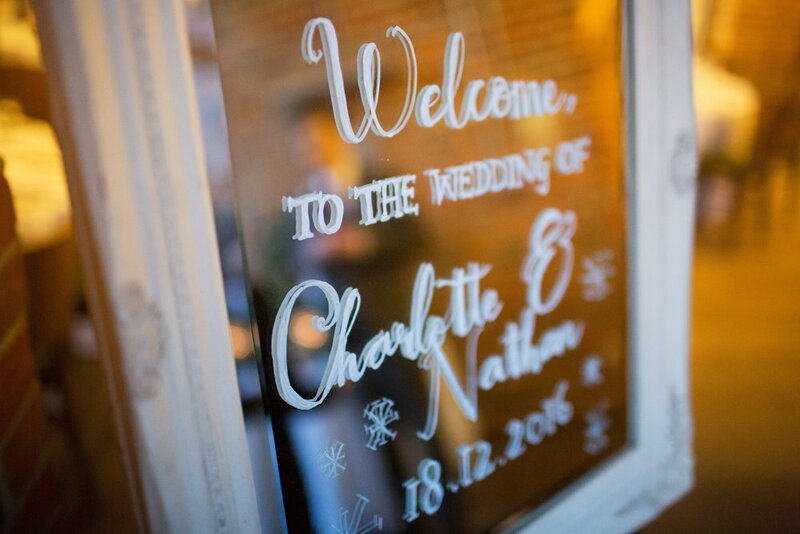 This beautiful and chunky, hand created wooden sign is the perfect way to welcome your guests to the biggest day of your lives! Reads: Welcome to our beginning. Have any other ideas for further decoration? Just get in touch and we can come up with something that suits your wedding theme! , all hand painted to suit the 'timings of your day!'. Please note if you would prefer non capitalised fonts there is a small additional fee of £10.00. By default your order will have capitalised fonts so just let us know when you book in if you’d rather have a swirly font! What better way to make your guests know whats going on and when? This super rustic and free standing palette timeline will do just that! Make a statement! Floral detailing included plus up to 8 timings, 4 on each side. Great for an easy Thank you Card which I can create! "please sign out guestbook" free standing wood sign. Between 4-5ft tall this is a lovely rustic free standing extra to personalise your Wedding day. Perfect if you've gone out the ordinary and are treating your guests to donuts! Yum! Hand painted love quote on wooden board. A lovely addition to a display or for your ceremony room! Hand painted Newlyweds on wooden board. Perfect to add to any type of photo-booth or guestbook area, free standing wooden sign. Guide guests to your wedding with this quirky pinterest inspired sign post! Rustic bicycle plant pot and jug included with flowers as pictured above. Have your Names/Wedding Date/ Hashtag along the front. This has two drill holes so can be hung from anywhere too! We also have a copper backdrop display under ‘Displays’ which the polaroid frame can be hung from. A5 Framed prints in black and white, perfect for your bathrooms! Alternate designs can be arranged for an additional fee. Add a rustic touch to your sweet or dessert table. 1 | 'This Way' points to the left (when looking at the sign). 2| 'This Way' points to the right (when looking at the sign). PLEASE SPECIFY WHICH ONE YOU WOULD LIKE TO HIRE WHEN YOU ENQUIRE. Wedding signs are a great feature for your wedding day, and also help guide guests to your venue! At over 6ft tall this is a great way to guide your guests to your wedding! Couples name inserted, suitable for outdoor (or indoor) use. Please bear in mind that although these can be used in all weather conditions, we cannot control the wind! But will do the best our can to secure them in their place! personalised to angle directions required and your wedding date on the top. Please bear in mind that although these can be used in all weather conditions, I cannot control the wind! But will do the best I can to secure them in their place! Wedding signs are a great feature for your wedding day, and also help guide guests to your venue! At over 6ft tall this is a great way to guide your guests to your wedding! Suitable for outdoor (or indoor) use. Perfect for any wedding venue with a long drive! Tease your guests in with this sign along the way! It’s a perfect compliment to the above signs if you want to guide and welcome your guests to your wedding venue or ceremony. Please note: This will need to be placed on soft ground to stand up! Shabby Chic/Rustic Style Blackboard display. 2 avaliable - white or wooden. A beautiful little display to add to any wedding. Message included of your choice. Please state which colour board when enquiring. Flowers included will be pink or white, but please do not hesitate to ask for an alternative choice or for a quote with fresh flowers. Free standing double sided blackboard with floral garland. I'm happy to make it as pretty or wacky as you wish! I can write whatever you wish, whether it be your favourite quote, the order of your day or a cocktail menu, I'm happy to make it as pretty or wacky as you wish. Hire cost: £25.00-45.00 depending on complexity of design. Make a statement and have a message written on a mirror! I can be as creative as you wish, the wackier the better! Around A1 in size this is a great statement mirror! Let us put a quote, Welcome message or your order of the day on it for you! This can be used as a Table Plan with printed lists, however if you would like lists directly onto the mirror they will need to be transferred from an outside supplier. Get in touch for more details! Around A2 in size this is a great statement mirror! Let us put a quote, Welcome message or your order of the day on it for you! This is the perfect statement mirror! Almost 6ft high and floor standing is this gorgeous silver ornate mirror. Perfect for a message for your guests and also available for a table plan (please message to discuss in more detail and for a bespoke quote).